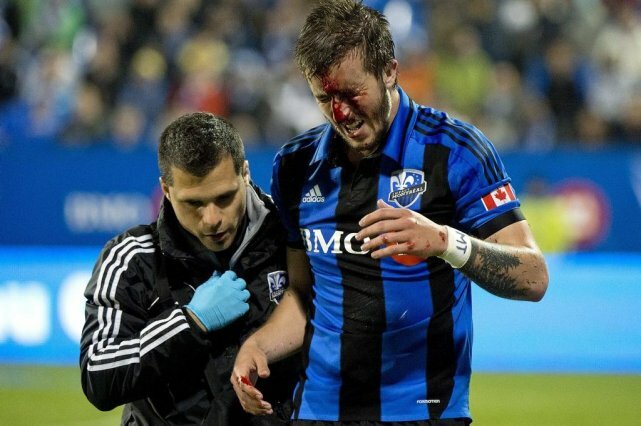 Jeb Brovsky had his face re-arranged by the Whitecaps' Jordan Harvey, undoubtedly the most interesting happening of the match. While Montreal fielded close to a first-choice lineup, Martin Rennie clearly set up his Vancouver side in an effort to keep a clean sheet. Evidence of such a plan included starting centre back Brad Rusin, a man without a creative bone in his body, in midfield, and moving the team's best player, Nigel Reo-Coker, to right back. It appeared to work as Vancouver looked under-manned going forward, while Montreal's forward thrusts were too easily broken up. In the second half I went for a run. Not much seemed to have happened upon my return. With Montreal's defensive corps returning to health, there was no room in the squad for Karl Ouimette or Maxim Tissot. Patrice Bernier carried the flag for Montreal, as did Russell Teibert for Vancouver. Both Teibert and Bernier should feature in the finale, as interim national team boss Colin Miller has announced he will not be selecting either play for the Costa Rica friendly the previous night in Edmonton. The contest standings have been updated.